KNOW YOUR POWER. SAVE YOUR MONEY. What does the EnergyCloud solution do for me? EnergyCloud provides you with up-to-the minute information about how and when you are using electricity. The EnergyCloud web portal and mobile app show you how much electricity you are using right now, how much you’ve used in the past and how much various appliances in your home are using. All of this adds up to providing you with valuable information that enables you to make decisions about how you use electricity. This enables you to achieve significant savings on your electricity bills. Independent research proves understanding your electricity usage habits translates to savings that can amount to more than 10%. Where does EnergyCloud get its data? The EnergyCloud solution includes a patented sensor device that mounts easily on your electricity meter. 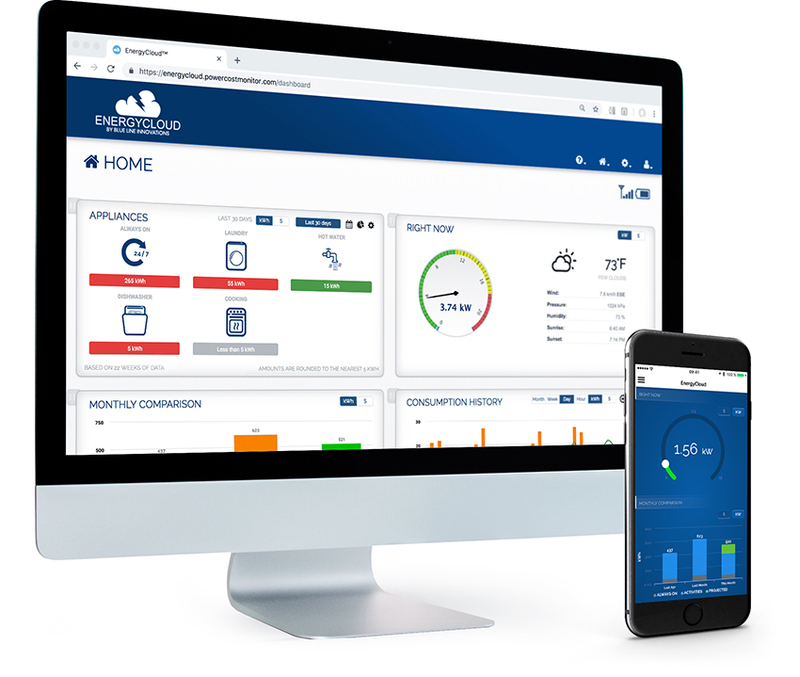 It monitors how much electricity your home’s meter is measuring and relays that information to EnergyCloud via the CloudConnector gateway. The meter sensor takes readings every 15 seconds, which is at least 60 times more frequent than your utility. The sensor is compatible with most residential and light commercial electricity meters in use in North America including mechanical disc meters, digital meters and smart meters. For general meter compatibility information click here. If you are still not sure, or have any questions about compatibility with your specific meter, please email us a clear, straight-on, picture of your meter and we’ll get back to you within 24 hours. Can I install the EnergyCloud meter sensor myself? Yes! The EnergyCloud meter sensor was designed to be Do-it-Yourself installable and does not require any connection to your home’s wiring. Unlike other energy monitors, there is no need to hire an electrician to install EnergyCloud components. In fact, most customers setup their EnergyCloud account and hardware in less than 30 minutes using the easy to follow setup wizard.